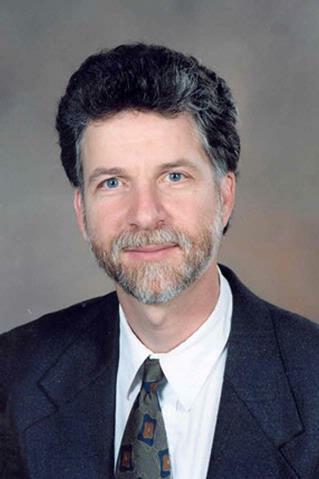 David Morton Siegel, M.D., M.P.H. Dr. Siegel's research interests are high risk sexual behavior prevention intervention and descriptive and natural history studies of pediatric rheumatologic diseases, particularly juvenile arthritis and fibromyalgia syndrome. Outstanding Medical Professional Award, Upstate New York Chapter, Arthritis Foundation, Rochester, NY. Ruth A. Lawrence Academic Faculty Service Award, Golisano Children's Hospital at Strong, University of Rochester Medical Center. Hemophilia Pediatric Specialist, (1986-2001) Distinguished Service Award, Mary M. Gooley Hemophilia Center, Rochester, NY, June 20, 2003. Selected to be a Facilitator ("Coach") for Biracial Partnerships for Community Progress; a 12-month program designed to bring business and community leaders of different racial backgrounds together as friendship pairs. Mayor's Committee on Ethnicity and Diversity, Rochester, NY. David Hochstein Music School Merit Scholarship Competition, Honorable Mention-Classical Guitar. Rochester Society of Internal Medicine Prize Award for paper submitted. "The High Cost of Medical technology: Getting at the Heart of the Matter. Kaplan FS, Andolina JR, Adamson PC, Teachey DT, Finklestein JZ, Ebb DH, Whitehead B, Jacobs B, Siegel DM, Keen R, Hsiao E, Pignolo RJ. "Early clinical observations on the use of imatinib mesylate in FOP: A report of seven cases." Bone.. 2018 Apr 0; 109:276-280. Epub 2017 Jul 20. Garfunkel LC, Pisani AR, leRoux P, Siegel DM. "Educating residents in behavioral health care and collaboration: comparison of conventional and integrated training models." Academic medicine : journal of the Association of American Medical Colleges.. 2011 Feb 0; 86(2):174-9. Pisani AR, leRoux P, Siegel DM. "Educating residents in behavioral health care and collaboration: integrated clinical training of pediatric residents and psychology fellows." Academic medicine : journal of the Association of American Medical Colleges.. 2011 Feb 0; 86(2):166-73. Chapter Title: Disorders of Somatic and Musculoskeletal Pain. Neinstein L, Katzman D, Callahan T, Gordon CM, Joffe A, Rickert VI. Chapter Title: Fibromyalgia Syndrome in Adolescents. In: Fisher MM, Alderman EM, Kreipe RE, Rosenfeld WD, eds. Chapter Title: Joint Pain. In: McInerny TK, Adam HM, Campbell D, Kamat DK, Kelleher KJ, eds.